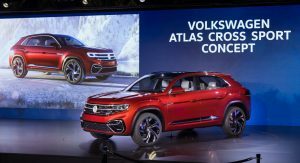 Volkswagen is previewing the next step in its crossover offensive in North America with the presentation of the five-seat Atlas Cross Sport concept. 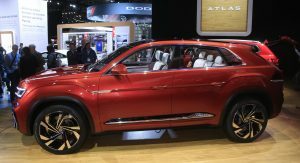 Set to debut at the New York Auto Show, the crossover is a near-production concept which previews a model that will be launched in the United States next year. 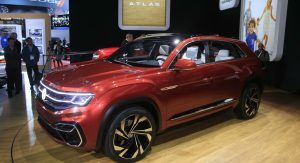 As the name suggests, the crossover is based on the seven-seat Atlas but it features a sportier exterior with a unique front fascia and distinctive LED headlights. Bigger changes occur farther back as concept adopts a rakish windscreen, a sloping roof and angular C-pillars. Other notable styling details include muscular wheel arches, a tailgate-mounted spoiler and 22-inch aluminum wheels. The overall design is more striking than the standard Atlas and this is partially due to its smaller size. Overall, the concept measures 190.8 inches (4846mm) long, 68.3 inches (1734mm) tall and 79.9 inches (2029mm) wide. 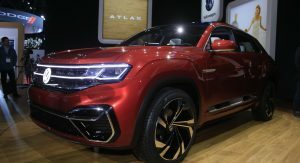 For comparison, the seven-seat Atlas is 198.3 inches (5036mm) long, 70.0 inches (1778mm) tall and 78.3 inches (1989mm) wide. 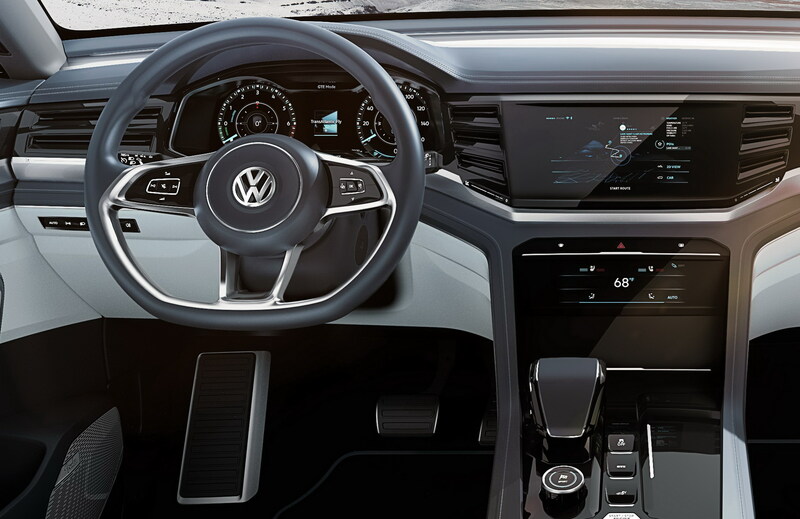 While the interior design isn’t as flashy as the one used on the new Touareg, it features a 12.3-inch digital instrument cluster and a 10.1-inch touchscreen infotainment system which has proximity sensors for gesture control. 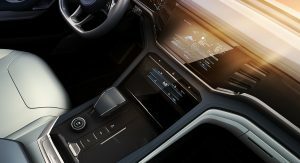 The concept also has a third display which provides access to the climate control settings as well as the heated and ventilated seat functions. The stylish two-tone cabin also has brushed aluminum trim, metallic accents and piano black surfaces. 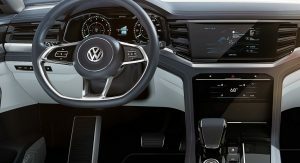 There’s also a luxurious steering wheel and a 4MOTION Active Control knob that provides easy access to the on-road, off-road, sport and snow settings. What’s hiding under the hood? 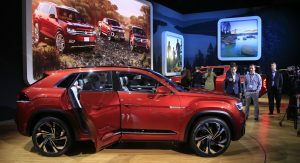 The concept is equipped with a plug-in hybrid powertrain that consists of a 3.6-liter V6 engine, two electric motors and an 18 kWh lithium-ion battery pack. This enables the crossover to produce a combined maximum output of 355 hp (264 kW). 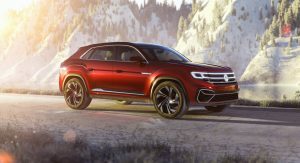 Volkswagen says this should enable the model to accelerate from 0-60 mph in 5.4 seconds, hit a top speed of 130 mph (209 km/h) and travel up to 26 miles (41.8 km) on electricity alone. 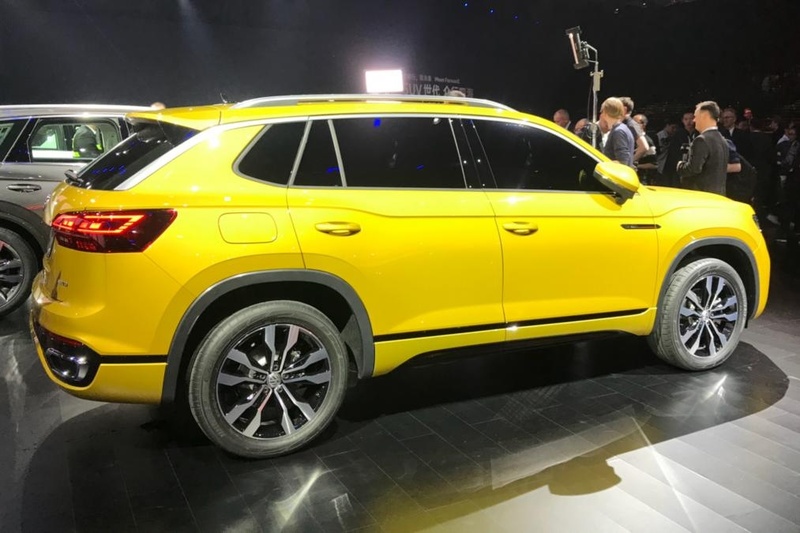 Interestingly, Volkswagen hinted at the possibility of a traditional hybrid which would use the same powertrain but adopt a smaller 2.0 kWh battery. 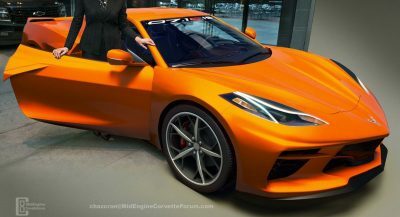 The company says this particular variant would be rated at 310 hp (231 kW) and could run from 0-60 mph in 6.5 seconds before topping out at 130 mph (209 km/h). 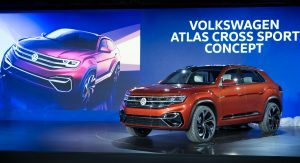 Volkswagen didn’t say much about the production model but it will be based on the MQB platform and built in Chattanooga, Tennessee. 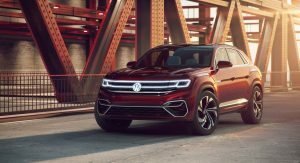 The automaker has also hinted the model will come with advanced engines, an eight-speed automatic transmission and a 4MOTION all-wheel drive system. didn’t the production version just get revealed in china? Looks like it might not be the same thing after all. When comparing the two, they look quite different. 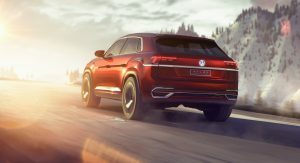 No that was the Touareg. 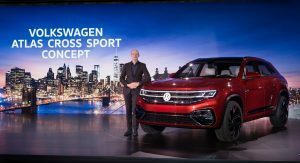 No, he’s talking about the Volkswagen Advanced Mid-Size SUV which is also a “small” Atlas. I like the vents on the dash. 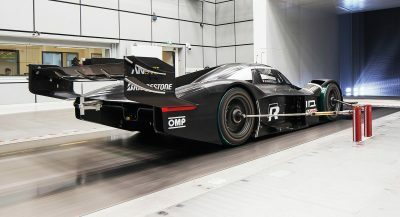 The outside just seems like a slightly more sporty rake to the rear glass and incrementally lower roof at the rear. Really nothing revolutionary or “coupe-like” to me though. 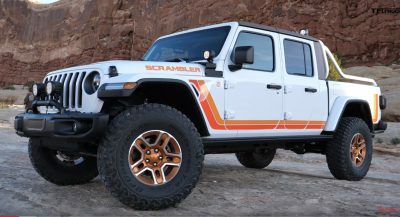 Has a bit of Grand Cherokee feel to it. Exactly, I was about to say that. I like it! Nice looking interior too! 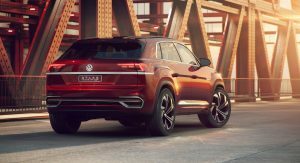 The back looks like the Urus/Q8 but I do like this. 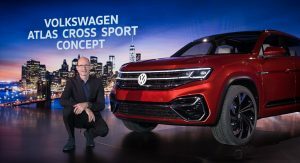 VW would be at almost rockstar status if they would bring the LED front light treatment to the production model even as an option. Overall I like this. 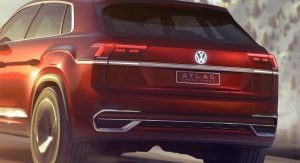 If the next 5 seater Atlas looks like this, VW has a winner on its hands, looks fresh and sportier. I like the front design. Can they now refresh the atlas interior? Ahh.. you are right.. it just looks production ready.. This looks more practical..the line is not raked too much towards the end.. 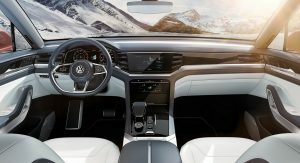 The interior that should have been in the full size Atlas! Very nice though…I like it! 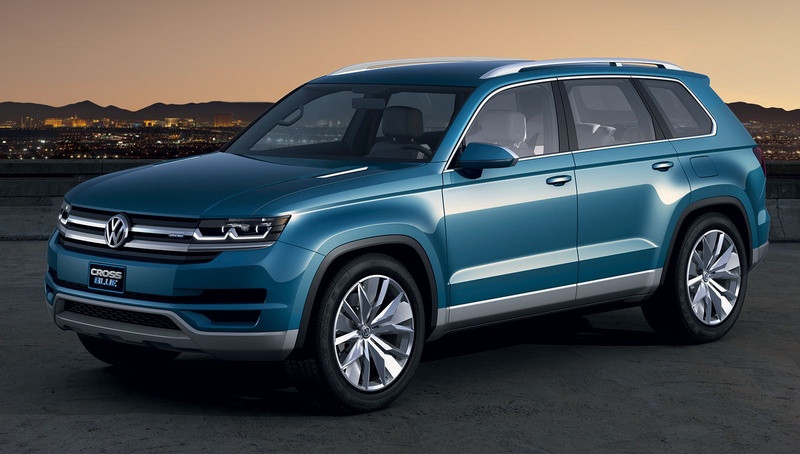 As good as I thought it would be, plus Europe can keep the Touareg, I’d rather have this. 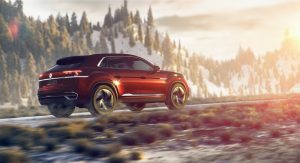 Hopefully Jeep will have an all-new Grand Cherokee before 2020 because this thing will be hard to stop. 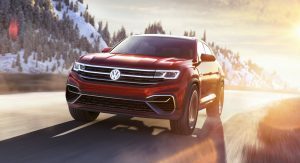 What’s their plans on replacing Grand Cherokee I wonder, a lot of positions and I think Grand Wagoneer got delayed as well? I wouldn’t go getting too excited just yet. Remember what the original concept for what became the Atlas looked like? And we all know how that turned out, don’t we? The released product turned out much better. Then again, the look is subjective. The concept looks little bland compared to the released product. 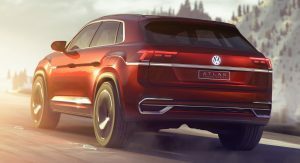 Well, the 2016 T-Prime GTE Concept is pretty much identical to the new Touareg and the 2015 Volkswagen Sport Coupe GTE Concept is very similar to the Arteon. 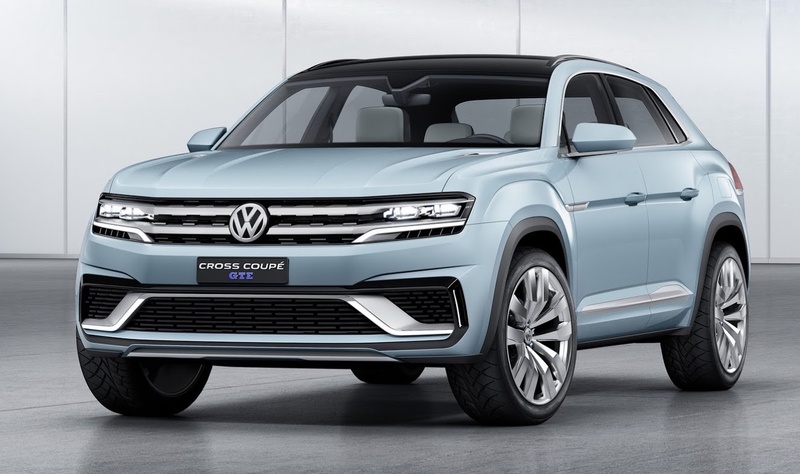 That said… The 2015 Volkswagen Cross Coupe GTE Concept is pretty much identical to the 2018 Volkswagen Atlas Cross Sport Concept… What are you doing Volkswagen?! 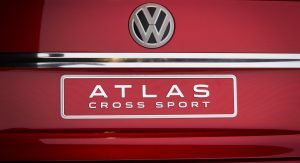 The Atlas Cross Sport is the almost production ready version of the Cross Coupe GTE. they are just recycling concepts. I hope BMW and Mercedes are watching. This is much better looking in profile than the X4/6 and GLC/E models they offer. 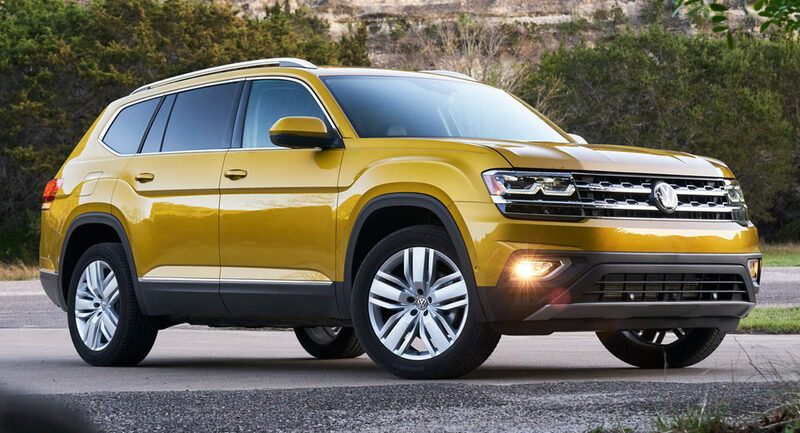 Why would they care when the production VW won’t look like this or nearly as good? . The people’s BMW X6? If only. The X6 is longitudinal rear-wheel drive. This Atlas “lite” will be a nose heavy transverse front-wheel drive porker. Those thinking it will rear-wheel drive based will be sadly disappointed. Looks very Ford Edge Sport to me.. Exactly what I want; a wider crossover so I can load stuff in the back! Maybe, just Maybe it can use a little bit thicker steering wheel. I have to see it in person to better judge. Not as bad as the other German humpbacks. 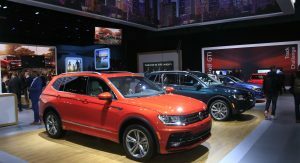 In other words, a cheaper Audi Q8. WOW!!!! Now THIS is the VW I want!!! I think that this design represents the actual production look of the I.D. family. Its definitely handsome but almost too conservative and still looks too much like the Atlas. Should’ve differentiated it more and made it even sleeker. Yep, modern car design is too closely related these days. 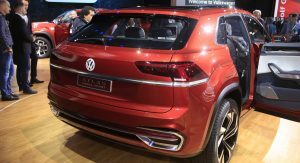 The first VW with the gas cap on the drivers side??? its not “The People’s BMW X6” , because it looks better than X6…. just put velar doorhandles on that car and sell it…. The Tanoak stole all of its thunder and then some. I prefer the Grand Cherokee comparison over the X6. This looks stunning, even better in these photos than I thought it would be, and this coming from someone who was a fan of the original sketches. 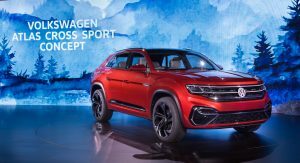 I have to say that it’s one of the better looking SUV Coupes…much better than BMW and M-B and it has elements of the Lamborghini Urus…this may be their best selling SUV once it’s launched. So slanting the the D Pillar slightly means “Crossover Coupe” now? 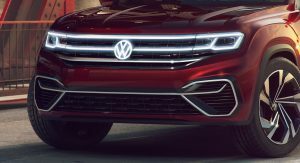 I’m still not convinced in the front, can they make it unique and less wide grille? The X6 sells to a certain kind of people because it has an expensive badge, and the flat hatchback says “I drive a big car without any usability because I can afford it”. I think the typical customer is very keen on both points, afetr all Mercedes did copy teh deisgn language for both GLE and GLC “coupes”. 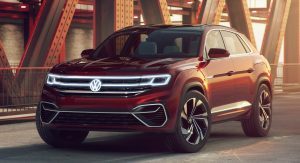 This has neither, so it’s not really a X6 fighter, more a large Tiguan.